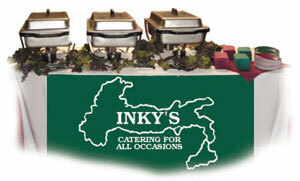 Inky's Catering has satisfied thousands of customers with our delicious food, beautiful presentation and exceptional service. Customer service is our top priority. We would be happy in assisting you with your menu suggestions! If specialty items are needed it's not a problem. We can customize the menu for your special occasion, Your suggestions are welcome! We can cater any type of event, anywhere, Let our passion for food make your event extraordinary. Please keep our menu in mind, we will be happy to customize any or all options listed.